Last year I made a special effort to make New Year's Eve special for our family. We had such a wonderful time last year that I will be doing much of the same things again this year. It has been fun to see the kids get in on the planning for tonight as well. I love being with my family and I'm thankful that things don't have to be elaborate to equal a good time and fun memories. This year, to help make the night memorable, we will have something special for dinner, snacks, a Bible lesson that focuses our attention on continuing to be a light for Christ in the world in 2015, filling out our 2014/2015 printable and we'll end the night with a movie and ice cream. I recently found a movie that I think the kids will enjoy as much as I did. It's called Miss Potter and is about the life of Beatrix Potter. It's a wonderful, family-friendly film that is enjoyable for both children and adults. I have a hunch that after watching it, our children will be inspired to pick up their water colors again. I know I was. :) We have Amazon Prime so are able to watch it for free, but you can still pick it up for only $2.99 on Amazon's Instant Video. 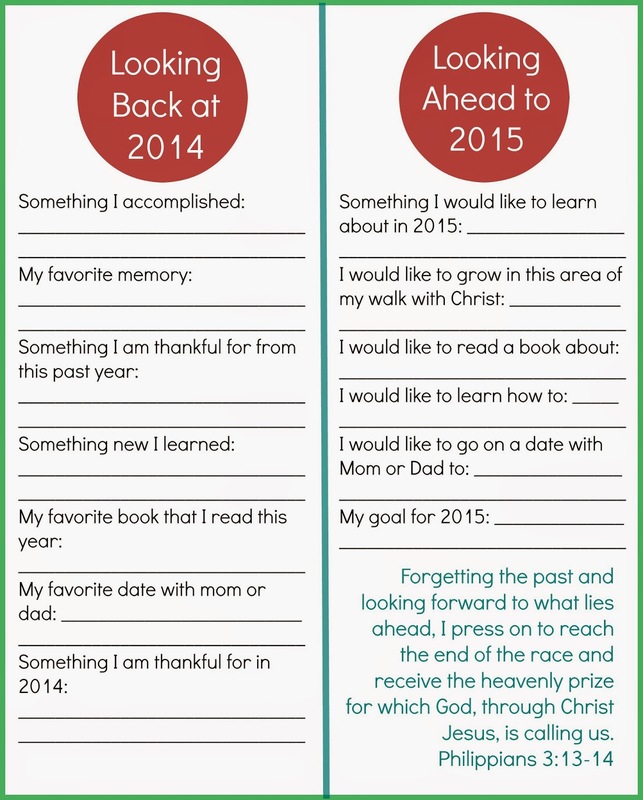 And, I want to share the printable I made with you in case you're like me and doing all of this planning last minute. :) I hope it helps if you have something that you can quickly print off for this evening! To print yours, simply click on the picture below or follow this link. I hope you have a wonderful New Year's Eve with your family and make many special memories.